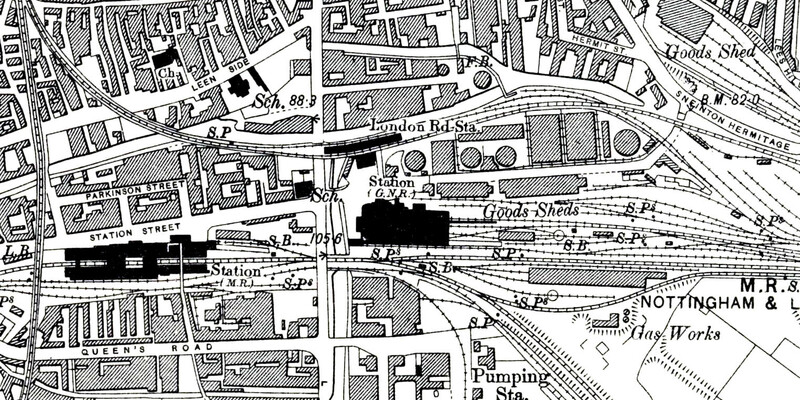 1901 6-inch OS map shows London Road High Level station which opened in 1899 on the new chord between the Great Northern and the Great Central. The LNWR goods station is seen top right. The LNWR had running rights into London Road station.